Celebrate Life Magazine spoke with Monica Migliorino Miller, PhD, about her pioneering pro-life work and her compelling 2012 book, Abandoned: The Untold Story of the Abortion Wars (reviewed in our Sept.-Oct. 2012 issue). 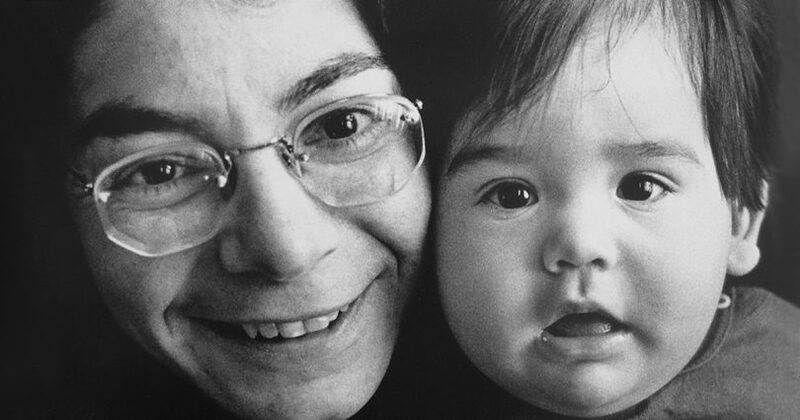 Abandoned chronicles her daring but peaceful pro-life street activism from 1976 to 1994. Dr. Miller holds a doctorate in theology and teaches at Madonna University in Livonia, Michigan. As founder of Citizens for a Pro-Life Society, she has become a nationally recognized pro-life leader. She and her husband, Edmund Miller, have three living children. Edmund is a renowned sidewalk counselor (see www.GuadalupePartners.org) and CLM contributor. The cover image for Abandoned is an aborted baby’s hand reaching out. What response has this received? People seem to really like the cover; they find it engaging and provocative, but not in a way that’s overly graphic. . . . We can’t say that it won’t put some people off, [but] in some ways, this is our one opportunity—even if someone doesn’t open the book—to . . . reveal the truth. There’s a chapter on your late-night trips to dumpsters behind abortion facilities to retrieve the bodies of aborted babies, take photos, and give them a proper burial. How would you address critics who call this sick and morbid behavior? We’re dealing now with over 50 million human beings that have been wiped off the face of the earth because of legalized abortion. A mere fraction of those millions actually have found their way to a human cemetery. . . . Being able to go to a dumpster and find a discarded human body that was killed under the sanction of law is . . . an indictment of our culture. Anyone who has even a residual respect for life and respect for the dead would understand why it’s important not to leave dead bodies in dumpsters. Burying the dead is a corporal mercy; it’s our duty. Do you still check dumpsters at abortion facilities? The last time we did this was two years ago. Chris Veneklase, of Right to Life of Michigan, found 17 bodies of babies that had been aborted at the Women’s Choice clinics in Lansing, Michigan. I helped him with subsequent dumpster searches. . . . We had gathered enough evidence against it that the attorney general shut these clinics down in November 2011. That was a huge victory, and I hope those babies feel some sense of justice being done for them. Have the abortion facilities stopped putting babies’ bodies in dumpsters? Oh, no! This is done all over. An abortion clinic might package up the bodies and have a biohazard waste company . . . pick up the box, but then the babies ultimately wind up in the trash somewhere. . . . Our landfills and sewer lines are filled with the remains of these outcast human beings. The only thing that blunts or limits this problem is if a municipality or state has an actual law against this sort of thing. Unless the bodies of these victims find their way into the hands of a funeral director or a pro-life group, they’re not going to get a burial. . . . I hope Abandoned will awaken people . . . as to what . . . we’re really dealing with when we put innocent human beings to death in abortion clinics. You were arrested for participating in sit-ins and rescues at abortion facilities. But I never sensed, from reading Abandoned, that you feared going to jail. I didn’t want to go to jail, but I was willing to do it. In some ways, it would be harder for me to go to jail now than . . . when I served those jail sentences. Now I know what I’m in for. . . . I saw going to jail as part of the mission. How were you able to bear going to jail and leaving your children? When I did that rescue at Imperial Health Services,1 I wasn’t married. In the meantime, I was convicted and then it took another two years for the appeals process. . . . I got married and had two children during the appeals process. I lost my appeal, and there simply was no choice but to go to jail. Luckily, I have a very saintly and very supportive husband. You’re in a war, and even children suffer in wartime. My daughter was 18 months, and my son was five months old when I went to prison. Having child-care release privileges did mitigate the deprivation of jail, though the weekends were the most difficult. . . . I hit such a wall when I had to go back to jail [on weekends]. How can we preserve our children’s natural joy and innocence, and yet also prepare them to combat the tragic reality of abortion? You walk into a Catholic Church, and the first thing you see is Christ on the crucifix with nails in His hands and feet. We’ve already introduced our children to something that’s horrific. From experience, I believe children will respond to abortion in the way that their parents respond to it. If a parent is . . . angry about abortion and shields the child from abortion, the child will absorb that anger and will be more disturbed by abortion than if the parent is calm, rational, and prayerful about the reality of this injustice. The pro-life movement seems to have evolved into a “kinder and gentler” movement. Do you think this is for the better? I don’t think we weren’t kind or gentle in the days of the rescue movement. We might have been more willing to break laws and willing to confront abortion in a vigorous kind of way. I don’t think the rescue movement should have died out. . . . Blocking doors to a clinic is a legitimate response to the impending death of an innocent human being. I’m pretty confident the only reason that movement came to a halt is because of the FACE Act [the Freedom of Access to Clinic Entrances Act signed by President Clinton in 1994]. The federal government made it too costly and impractical to continue that kind of pro-life strategy. What is the pro-life movement doing right, and what could it do better? The current pro-life movement still needs to articulate its position, politically speaking, in a more effective manner. The pro-abortion side has no hesitation in articulating their position, even though they really have the extreme position: Abortion for the full nine months, [and] a woman can get an abortion for any reason. Our politicians need to not be apologetic when it comes to defending the right to life. They’re still lacking in confidence, and they want to politicize [abortion] in a way that it shouldn’t be politicized—for the sake of getting votes. The problem with abortion . . . is that we still can convince ourselves we’re living in a normal world. The lives of the ordinary public are not much disturbed by the 3,500 murders that happen each day under the law.2 The worst problem an unborn child has . . . is that [he or she is] invisible. Why do you think Western culture as a whole is so addicted to decriminalized abortion? The chapter in my book about the nun3 is very important, because she tells us what’s really the issue: . . . to be able to determine for myself what I am and who I am, without anyone else dictating . . . what I can and cannot do. Abortion frees women from the responsibilities of gestating, birthing, and raising a child. . . . In order for a woman to compete and have the same power as a man, she has to have the “right” . . . to decide whether or not she’s going to be pregnant. . . .
Roe v. Wade was not just a decision about abortion. . . . Roe v. Wade is a philosophy about human communion. Are human beings inherently connected to one another? Roe v. Wade says, “No, we are not.” The philosophy of Roe v. Wade is that in order to have power, human beings have to be isolated from one another. Isolation is the opposite of what the woman is meant to do; her purpose is to bring people together, form families, and draw her husband into the life of the family and his children. Abortion reverses that dynamic, and now everyone is an isolated individual grasping for power. . . . To get that power, [women] have to have access to abortion. Is it likely that decriminalized abortion will end in your lifetime? I’m almost 60 years old now. . . . I think there’s a possibility, but . . . there’s an equal likelihood that the answer will be no. . . . So much cultural damage has been done in refusing to respect the culture of life, and it’s not just the unborn; it’s the elderly, the handicapped, embryonic stem cell research, and the disrespect to life that happens in artificial reproduction. Our whole sexual ethic is completely corrupted. We have to attend to those problems because they are so connected with . . . abortion. I don’t see that that tide is going to significantly shift in 20 years. I think the Catholic Church holds the key. I’m Catholic and I love the Church, but I think she needs to do more. It has needed to do more in the last 40 years to meet this absolute, complete social, moral, and spiritual crisis. . . . Only in the last 10 years have we begun to see a more robust, more focused response to legalized abortion on behalf of the Catholic Church. I think that’s going to make a huge difference. What more should the Church do? When the Church stops behaving in a way that blurs the problem—[stops behaving] in a way that causes . . . an ambiguous response to the injustice of abortion—then you’re going to see real changes.